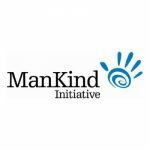 The ManKind Initiative was the first charity in the UK to support male victims of domestic abuse (registered in 2001). For over 15 years we have been at the forefront of providing services and support for male victims and campaigning to ensure that male victims receive the support they need from other organisations. Our am is to ensure all male victims of domestic abuse (and their children) are supported to enable them to escape from the situation they are in. We are gender inclusive in our view so we want all female victims (and their children) to escape too. We provide a range of services directly to men such as a anonymous national helpline that any man, anywhere can call us. We also support others to provide services for men so we run a one day training course, a national conference and a directory of services. We also give male victims a public voice by campaigning for them, sitting on Government and other committees and giving presentations around the country.